Comterra Development Group, Estero, FL. For decades, we have met the increasing demand for cost-efficient, responsive construction management services for the most discerning client with the most intricate construction project. 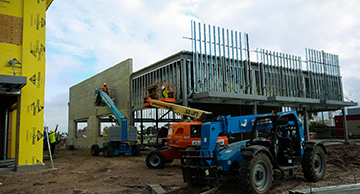 We are also committed to utilizing a proactive approach to prevent delays, scheduling issues, change orders and design errors during the construction process. We have a proven track record of delivering in challenging environments whether it is a full-spectrum design/build, repositioning, or value enhancement. We welcome you to review our web site, examine our properties and reflect on the range of services we offer our clients and the attention we pay to each partner, client and project. Please feel free to contact us with any questions you may have.